Not where I’d expect to find great BBQ. How about you? Earlier this fall, while in Newton visiting some friends, I came across some high quality BBQ where I least expected it-so I thought I should share! 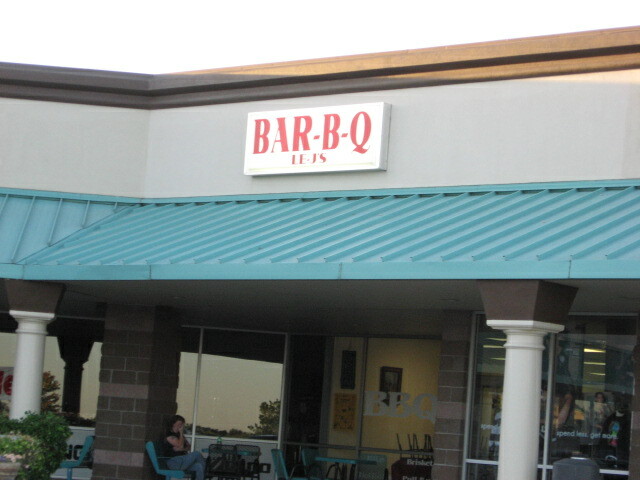 We ended up at “LE J’s Bar-B-Que”, located in the Chisolm Trail Shopping Center on the south edge of Newton. If you’re not familiar with the shopping center, it is west side of I-135 on the far south side of Newton, near the exit for 36th street. Once inside LE Jays, you will likely find an engaging, outgoing guy behind the counter serving up some of the best KC style BBQ I’ve found in that region! The guy behind the counter is none other than the owner of the place, Jeffery Love. Jeff has a hand in nearly all the food you eat at Le J’s, as he comes in at 4:00 A.M. each work day day to start the meat smoking and to make the beans, potato salad, cole slaw, and of course the sauce, all from scratch, before he opens for business. Seriously? How did this get here? LE J’s is BBQ dining in its simplest form, which I like. There is a fridge with bottled drinks and a menu that is basic enough to not confuse you, but gets you everything you need and/or want! 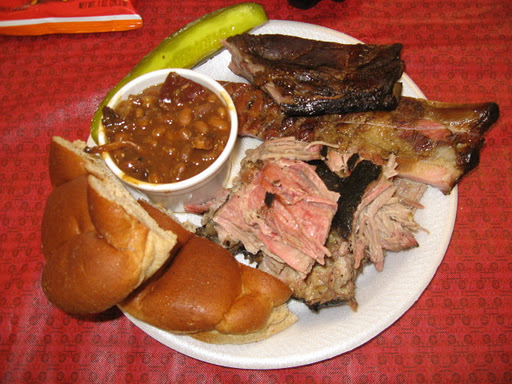 I had pork ribs,pulled pork, and beans while there and thought that all three were very good! My final judgment of an eatery usually comes down to me asking myself if I’d go back again, and in this case I can most definitely say yes to that!